A woman died from a fatal heart attack caused by shock after waking up to discover she had been declared dead -- and was being prepared for burial. As mourning relatives filed past her coffin, the supposedly dead woman suddenly woke up and started screaming as she realized where she was. 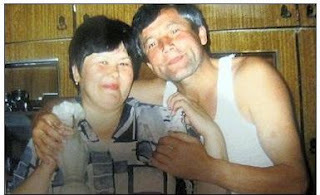 Fagilyu Mukhametzyanov, 49, had been wrongly declared deceased by doctors but died for real after hearing mourners saying prayers for her soul to be taken up to heaven in Kazan, Russia. looking for that "just right" home? best friends are bad for you.